To me, the month of March always meant my birthday and usually spring break. Nowadays, although my birthday is still the shining star (don’t worry, you haven’t missed it yet), March offers up some other notable characteristics. If you haven’t already heard, it’s National Nutrition Month, and guess what else? National Registered Dietitian day is on the 12th – yep, tomorrow. I’ll be accepting flowers, chocolate and checks payable to… ok I kid I kid – it’s not all that special considering the fact that no one really knows about it. But I like to mention it because now, with the internet, everyone likes to think they’re masters of nutrition – but this day is to remind us and others that we have the training and qualifications to actually call ourselves experts. So hey boss where’s my bonus huh? Oh you mean.. oh.. okay. Aaaanyway. Back to National Nutrition Month. The Academy of Nutrition and Dietetics creates a theme for each year – this year it’s “Enjoy the Taste of Eating Right”. For the most part, taste trumps everything when it comes to food selection. And as someone who is not shy when it comes to ordering french fries or triple-chocolate-something-plus-more-chocolate-dessert-thing, I’m not going to sit here and tell you that, I promise! – kale chips taste just like Ruffles! Don’t ever become friends with someone that tries to tell you that. For your average individual who wasn’t raised on finishing their veggies before leaving the table and having fresh fruit for snacks (thanks mom! ), I think eating healthier is somewhat of an “acquired taste”, if you will. If I had a choice between salmon&broccoli or mac&cheese, I would choose the fish and greens – but for a couple different reasons. First being that I know the nutritional benefits of that meal when compared to the other. And second, I know how to enhance the flavors and make it tasty and satisfying. It’s one thing to know, but it’s a whole ‘nother ball game when the know how comes into play. Hellooo, this one is so very obvious. 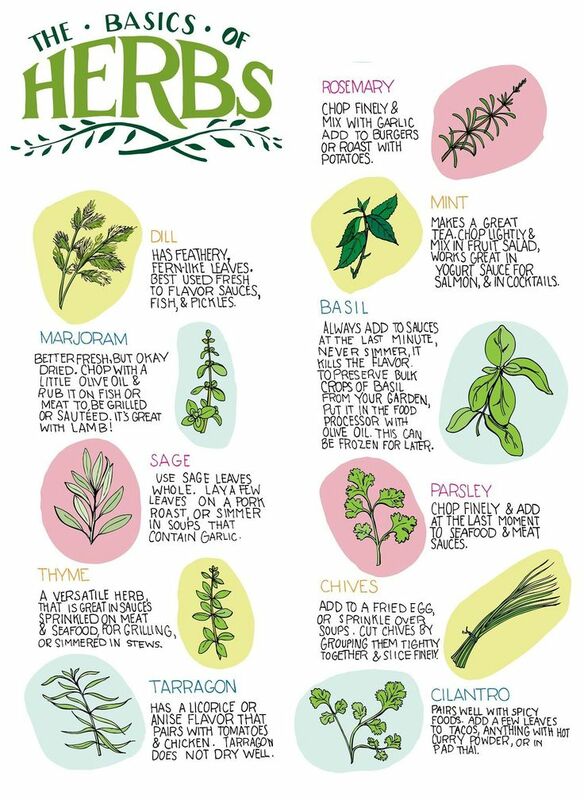 Aside from the fact that many of these things offer additional health benefits, there is nothing better than fresh basil in your pasta, or minced garlic in your sauteed veggies. There are tens, if not hundreds of different varieties to play around with. Tip: When using fresh vs. dried herbs the ratio is 3 to 1.. so if a recipe calls for 3 teaspoons of fresh rosemary, using 1 teaspoon of dried will produce the same flavor.. but fresh is always best. 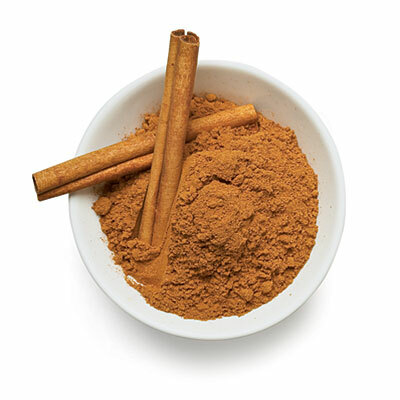 Most of the time, cinnamon comes into play with sweet dishes rather than savory – like oatmeal. However, sometimes a dash of cinnamon into a savory dish can add an earthy depth and round it out with a bit of warmth. Regardless of if you need a little dash or a hefty dose (ahem, cinnaholic over here) – you can’t go wrong with cinnamon. Tip: Cinnamon covers up any of that extra “green” taste you get when adding kale or spinach to smoothies – try a dash in your next mix. One thing is for sure, my pepper grinder gets the most use out of anything in my spice cupboard. I like it hot hot hot. There’s nothing better than fresh black pepper to finish off a dish. 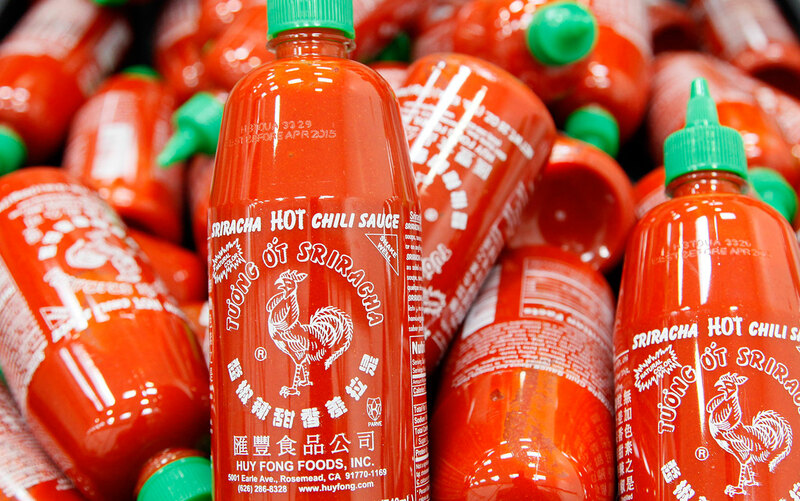 Same thing with my bottle of Sriracha – but something to remember is not to be too heavy handed on the hot sauce, because depending on the brand – and how much you use – it could add a bit of unwanted sodium to your meal. Tip: It has been long believed that spicy foods may have a positive influence on our metabolism. Studies are mostly inconclusive but hey, in my opinion, there is nothing wrong with a little spice. A good follow-up to the hot sauce tip – don’t be afraid of condiments BUT – and that’s a big but – be conscious of how much you are using. 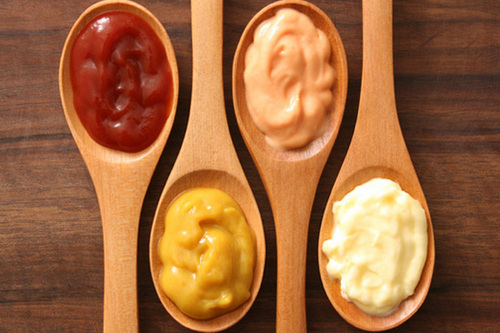 A drizzle of honey in your yogurt, a swipe of dressing in your wrap, a bit of BBQ on your chicken – those are all fine and good and most definitely delicious but condiments do add the previously mentioned salt, fat and calories – so use them wisely and in moderation. Tip: Avocado and hummus are two of my favorite swaps for your typical sandwich spreads. In my opinion, if the condiments are going to add some fat and calories, you may as well get a little nutritional punch – and these provide you with a bit of those healthy unsaturated fats. My favorite way to prepare anything is by cranking the heat and throwing it in the oven til I see browned edges. It’s super simple and hands-off for the most part, giving you time to fuss around with other components of your meal. 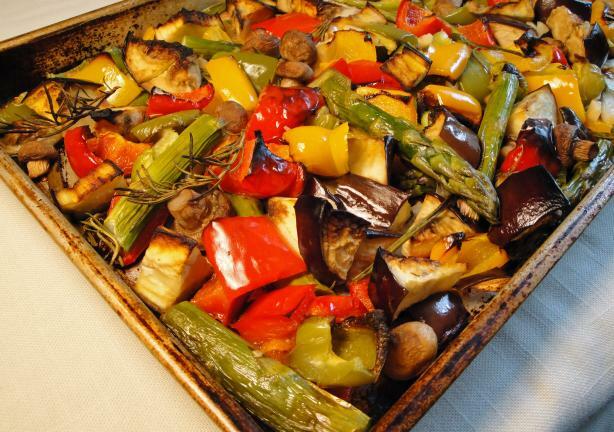 The biggest flavor profile, in my opinion, comes from roasted veggies – especially your root veggies like beets, brussel sprouts, squash, potatoes, onions – but roasting proteins is also a great way to develop flavor. Pork tenderloin @ 425 for 20-30 minutes and you wouldn’t even know what hit ya. Tip: This Good Houskeeping chart is a good reference if you’re new to roasting veggies – it lets you know time and temp, how to prepare it both trimming and with seasoning. Genius I tell you, genius. Personally, I love eating healthy. Yes, I truly love eating mass amounts of veggies in one sitting. But that’s why I’m a dietitian – I know that not everyone else is going to enjoy green things as much as me. I also enjoy eating things that aren’t so “healthy”, and I get it, that damn cheeseburger really does taste delicious. So my hope is that some of my tips help you to transform that chicken breast and asparagus into something delicious too. Your turn! What tips do you have for adding flavor to foods?